Therefore, in this blog, we are going to discuss the following reasons and the relevant measures to fix Exchange transport error 16023. The transport agent does not installed and configured properly on the Exchange server. Active Directory Service has not available on the machine. First, you need to analyze the Event 1052 for finding which transport agent has caused such an issue. After this, check the transport agent configuration settings. Now, uninstall the Exchange transport agent , which causes the error and reinstall it. Remember: If users already disable a transport agent then, the performance of the transport agent cannot be enforced that messages to pass through the Exchange server until the transport agent has re-enabled. The manual process becomes too long and time-consuming process. Sometimes, such solutions cannot troubleshoot the Exchange transport error 16023. 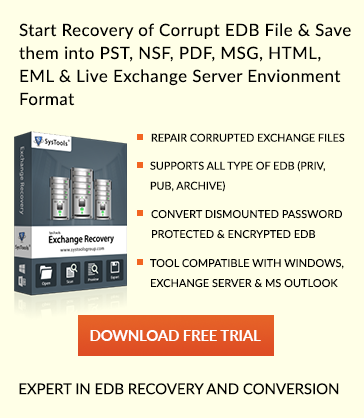 To overcome such limitation of manual methods, one can go for a trusted software i.e., EDB File to PST Converter. This tool is more reliable and makes the task very simple, safe and quick. Moreover, this is the best solution to fix Exchange transport error 16023 and also can resolve such issues of Exchange database corruption. Microsoft Exchange transport error 16023 arises mainly on the Exchange server due to the Event ID 1052. Due to the availability of this error event, the transport agents that are installed or configured on the server have not started and the Exchange Transport Service has been forced to stop. The error can be resolved by uninstalling and reinstalling the transport agent that we have already discussed in above segment. The users can also disable the transport agent when the Microsoft Exchange Transport Service on local computer has been started.